We are a major Manufacturer, Exporter and Supplier of Blonde Human Hair. We offer 100% natural Blonde Human Hair that is soft in texture and lustrous. The hand-blended Blonde Human Hair is perfect for making hair braiding, hair extensions, hair weavings and wigs. The Blonde Human Hair we supply is tangle free and has high strand strength. 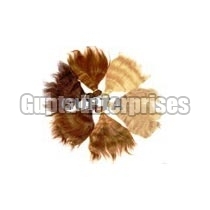 We offer Blonde Human Hair in different shades ranging from dark brown, light brown, blonde to very light blonde.